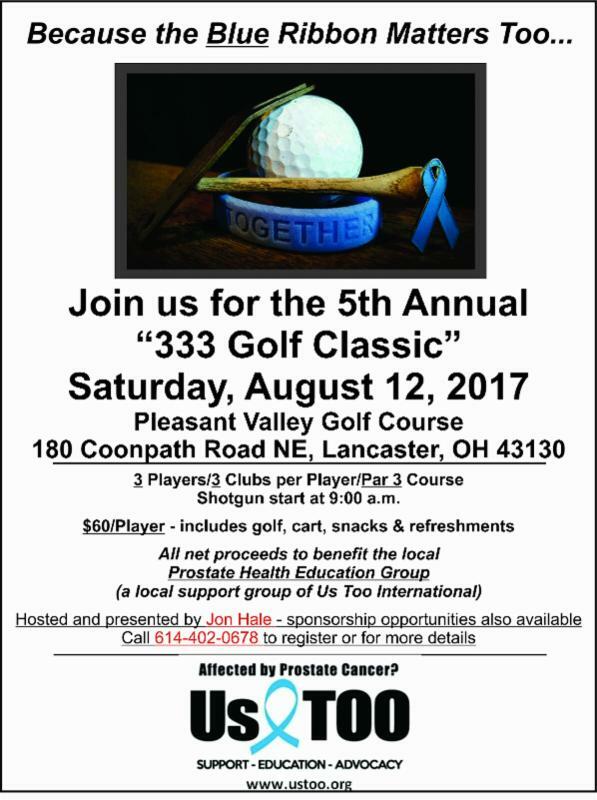 333 Golf Classic to Benefit Us TOO Lancaster Prostate Cancer Education Group this Saturday! Enjoy a golf outing to support Us TOO Lancaster this Saturday, August 12. Call Jon Hale at (614) 402-0678 to join the fun!